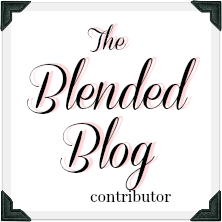 Happy Wednesday and welcome back to The Blended Blog style. 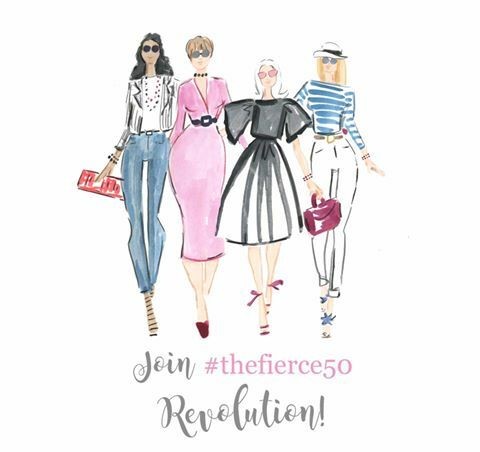 We hope you'll join us and link up your fashion posts below, and check back to see if you are featured! Today it's all about the Christmas sweaters. I live in sweaters during the winter, and I have a few special ones that I pull out this time of year. 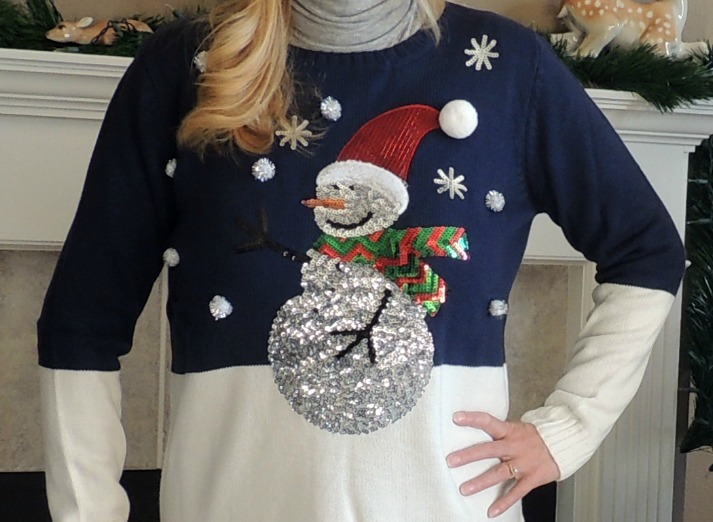 We have a few casual parties to attend over the weekend, so I thought this festive snowman sweater would be a perfect outfit choice. The snowman is bright and sparkly, and the best part, only $14 at WalMart. It seems to be sold out online, but I have seen them in stores. 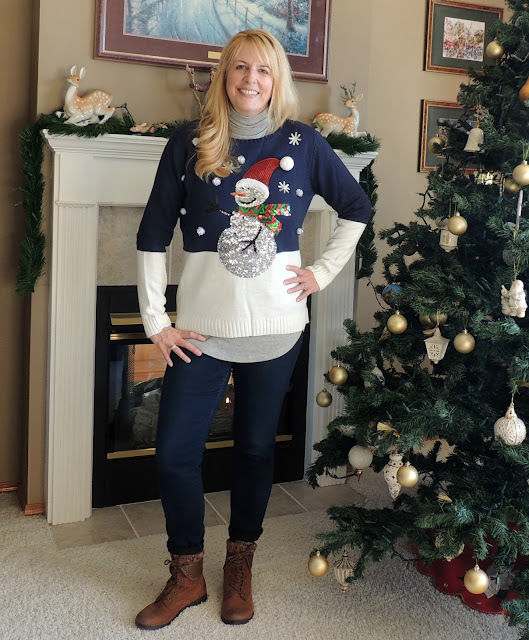 For something a little more subdued, I love this snowflake sweater from Gap. 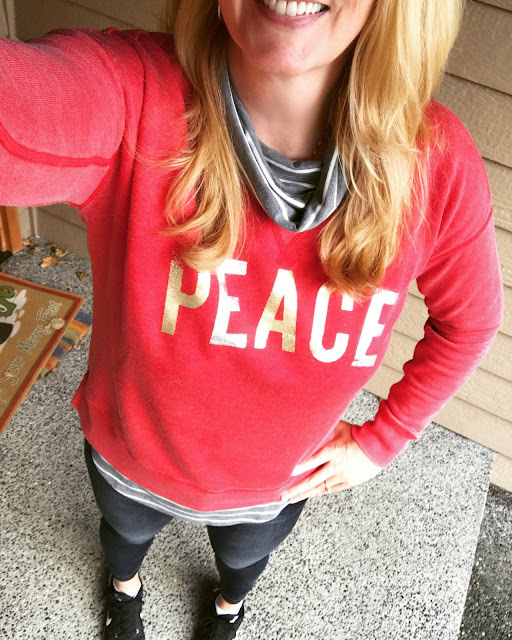 And you can't go wrong with a holiday sweatshirt. Hope you're all having a wonderful week. Thomas is done with finals and heading home for a nice long winter break. Can't wait to have everyone under one roof! Living in the NW, I know you need lots of cozy and cozy and CUTE these are!! I love your festiveness and sweet smile!!! All your boys under one roof soon I hope!!! Hugs! Both of these are great choices! And here I am with none...Love that second outfit you put together, those boots, so perfect! You can't beat Walmart's prices for a good Christmas sweater! I LOVE that snowflake sweater from Gap and you can wear it all Winter, unlike the Christmas one. I just got a sweatshirt and I am so excited to style it and wear it, now I just have to keep my fingers crossed it stays cool for awhile! Fa la la la la...You look cute in all of your Christmas sweaters. I use to have a red one with a snowflake...it may have been from Gap, I can't remember. 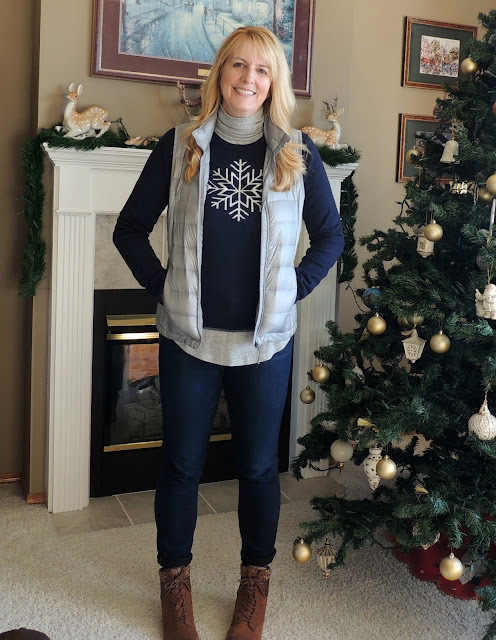 I love that simple snowflake sweater! I live in sweaters, too (as you know). I love the sparkly Snowman sweater. Cute sweater options but I never thought to layer a turtleneck underneath. I think I just might try this and hopefully I am not too hot. I always think they're fun. I had a great one and it broke! It had a cute pouch which just clear fell off! I'm in the market for a new one!